They had a photography session in the temples premises before the ceremony. A beautiful couple, both with great personality who always feel gratitude to others. 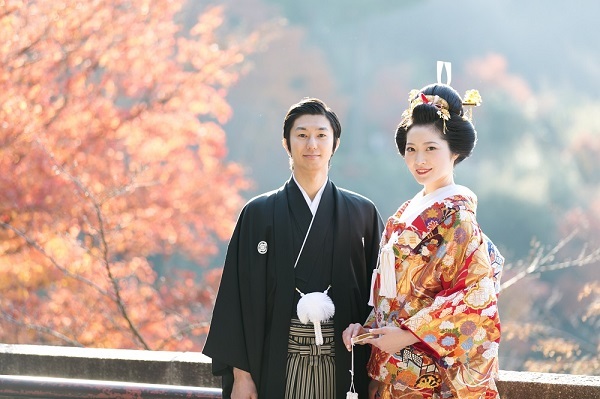 Their wedding at Kiyomizu-dera Temple was attended by just their families. 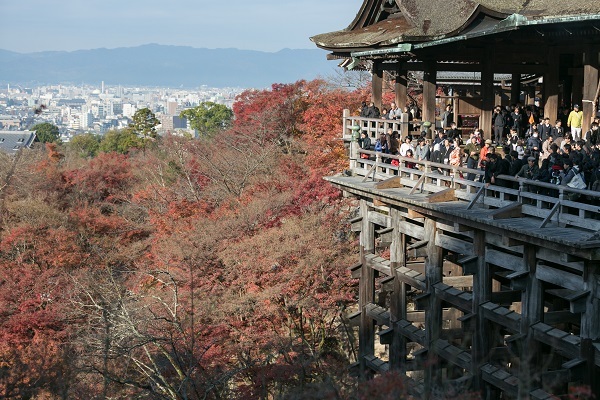 We provided our service for a wedding ceremony at Kiyomizu-Dera Temple on December 4th. 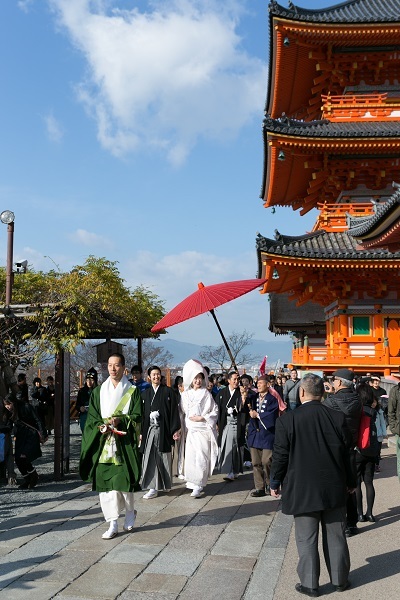 It was conducted at Nainaijin in the Hondo (main hall) in Buddhist style. We found it a solemn yet warm, a great wedding ceremony. 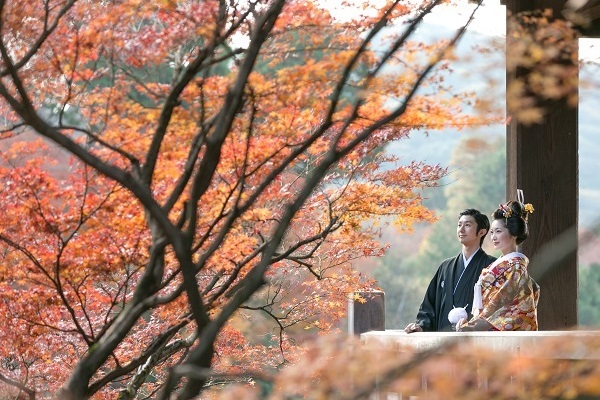 Kazuma-sama and Mika-sama, thank you for traveling all the way to Kyoto for the fitting of the costume. It was our great pleasure to serve such a wonderful couple like you. I am very grateful that I could meet you through your wedding. 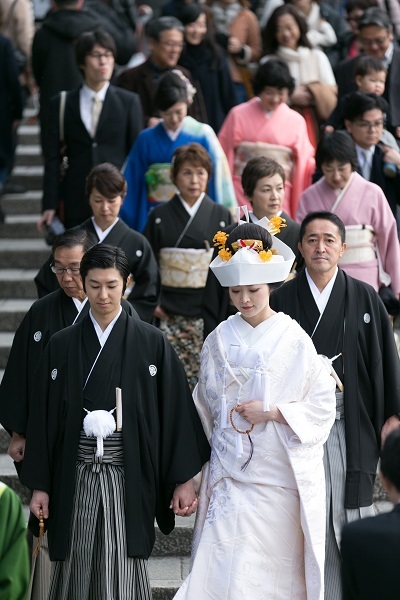 Please enjoy the wedding reception in Tokyo! Kazuma-sama and Mika-sama, wishing you a lot of happiness and prosperity to both families. By N / LST Wedding.